And thus We explain the Verses so that they may return. [Shakir 30:7] They know the outward of this world's life, but of the hereafter they are absolutely heedless. Recite, what has been revealed to you of the Book and establish prayer. Indeed, prayer prohibits immorality and wrongdoing, and the remembrance of Allah is greater. And Allah knows that which you do. 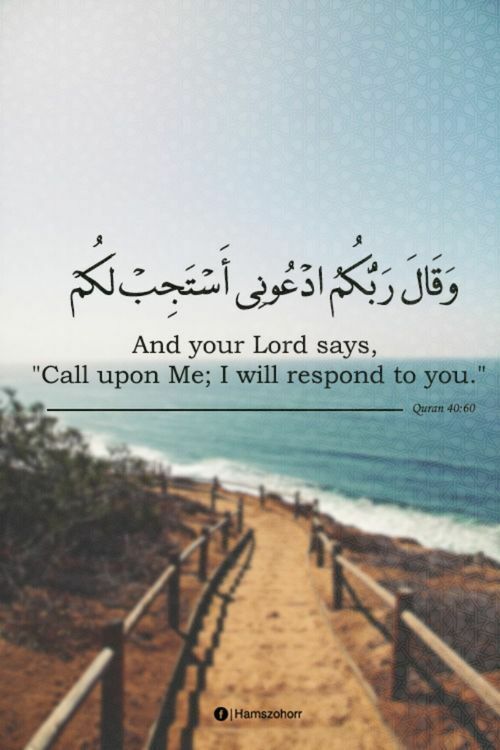 To Him is due the true prayer; Those to whom they turn and from whom they seek help besides Allah give them no answer, but (they are) like one who stretches forth his two hands towards water that it may reach his mouth, but it will not reach it; and the prayer of those who deny is only in error. (19:93-94) Not one of the beings in the heavens and the Earth but must come to (Allah) Most Gracious as a servant. Certainly He has a comprehensive knowledge of them and He has numbered them a (comprehensive) numbering. And whoever is in the heavens and the Earth makes obeisance to Allah only, willingly and unwillingly, and their shadows (their conceptual existence – for the real and absolute existence is the Names of Allah) too at morn and eve. Say: Who is the Lord of the heavens and the Earth?-- Say: Allah. Say: Have you taken allies besides Him who do not control any profit or harm for themselves? Say: Are the blind and the seeing alike? Or can the darkness and the light be equal? Or have they set up with Allah associates who have created creation like His, so that what is created became confused to them? Say: Allah is the Creator of all things, and He is the One, the Supreme. Surely Allah does not forgive Shirk( (I.e. directly or indirectly assuming the existence of beings ‘other’ than Allah, whether external objects [apparent] or our own ego [discrete]), and forgives what is besides that to whomsoever He pleases; and whoever associates anything with Allah, he devises indeed a great sin. "Tell the believing men to lower their gaze and to gaurd their chastity. That is purer for them. Surely Allah is aware of what they do."